East's Fife's Ladbrokes League Two title bid was strengthened by a 1-0 victory at Arbroath. Jason Kerr gave the visitors the lead after 25 minutes when he struck from close range. Ross Brown played the ball back into the area after a corner and the bounce left the Arbroath defence confused and Kerr was able to tap home. Three minutes into the second half Jonathan Page went close to adding to East Fife's lead but Arbroath scrambled the ball off the goal line. 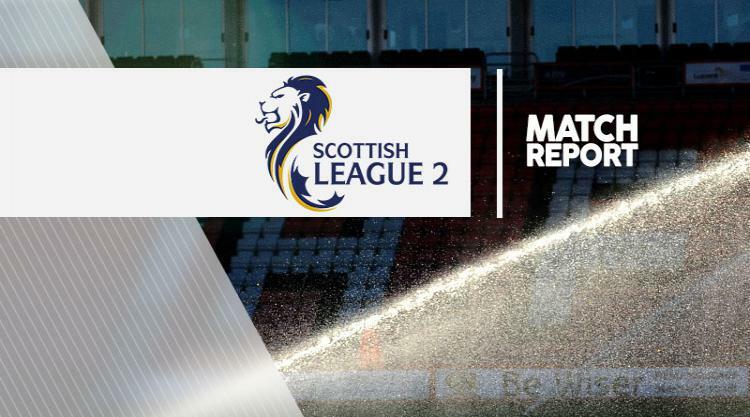 The visitors had already done enough to take all three points with a win which stretched their lead at the top of the table to four points while Arbroath are 10 points clear of the bottom.